Thank you for your interest in the Red Rocks RN Refresher program. The program has been updated in order to provide the most current nursing information and with greater scheduling flexibility. Our RN Refresher program is one of only four such programs in Colorado. Courses are offered in a hybrid format and include both skills labs and simulation labs. 3. Once the decision has been made to accept you to the program, you will receive an email with a letter of acceptance. If you choose to accept the opportunity, Red Rocks will enroll you in the courses. 2. 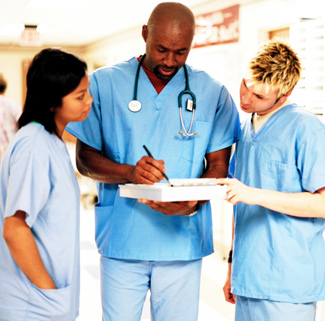 Apply to the RN Refresher program by May 1st. Students notified of decision to admit by May 31st. Required additional documents due by July 1st. Fall term begins late August. Students notified of decision to admit by October 31st. Required additional documents due by November 30th. Spring term begins mid- January. To learn more about the RN Refresher program or its requirements, please contact Carmen Stephens, DNP, RN at carmen.stephens@rrcc.edu or 303.914.6081.